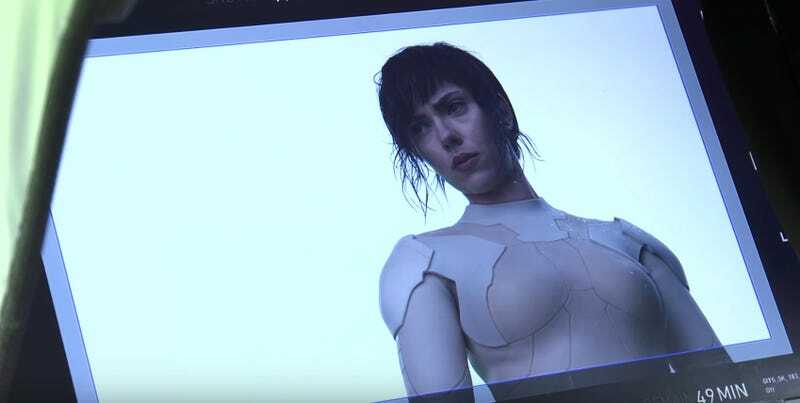 A new video shot on the set of Rupert Sanders’ live-action Ghost in the Shell not only had some new behind-the-scenes footage, but a special guest. That would be Mamoru Oshii, the director of the Ghost in the Shell anime films. In the clip, Oshii has nothing but compliments for Scarlett Johansson who is playing the cyborg named Major. And as he speaks, there are lots of quick cuts of intriguing new action beats, sets and props fans are sure to dig into. The first trailer for Ghost in the Shell will be out on Sunday, and you’ll find it right here when it comes online. The film opens in March.